The other day I was clearing out the top shelf of my kitchen cabinet and uncovered a Brown Betty teapot I was gifted a few years ago. I love the teapot but it doesn't get used much since it's so big. As I sat staring at it, I started to wonder about its history. I knew it was a very old style but that's about all I could remember. I had a very 'Jerry Seinfeld' moment, thinking 'what's the deal?' Well, I did a bit of digging and found a few interesting tidbits. Turns out it's a very big deal indeed. 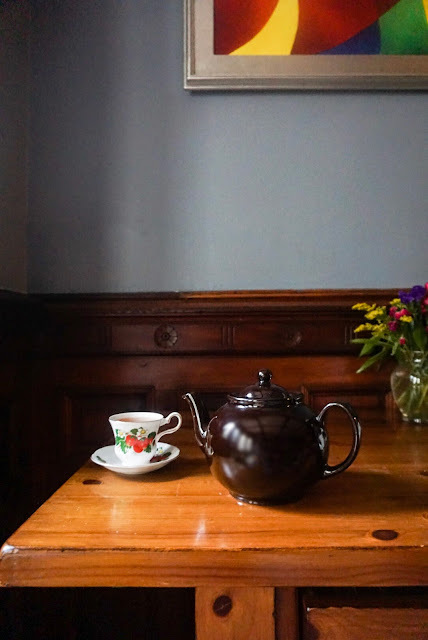 Read on for a bit of teapot history and design, and how to find a Brown Betty of your very own. Uncovering the origin of the Brown Betty proved to be more difficult than I expected. It's a utilitarian teapot that was designed centuries ago, and because the pots are so ubiquitous it's difficult to trace its exact origins. The teapot started out tall (similar to a coffeepot) and unglazed around the end of the 17th century. But the design of the Brown Betty has evolved over time. What began as a simple unglazed teapot has seen numerous alterations along the way. Many articles (including McIntyre's research) point to a particular clay as the birth of the Brown Betty; Euturia terracotta. This is a red clay native to the UK area of Staffordshire, more specifically the city of Stoke-on-Trent. The area may sound familiar, as it's home to many famous UK potters and factories. This clay was first used to make teapots around 1695 by the Dutch brothers David and John Philip Elers. The red clay proved to be the perfect material- it retained heat, proved to be quite durable, and the dark color masked tea stains. This useful clay is perfect for brewing a pot of traditional strong British black tea. In the late 18th century a shiny brown glaze was added to the pots. 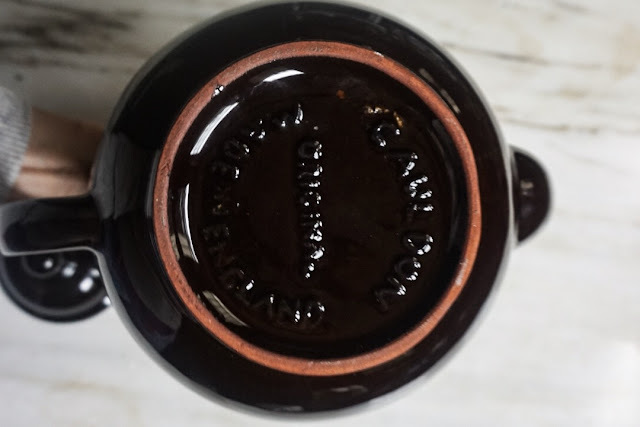 The glaze is rich in manganese, and referred to as the 'Rockingham glaze'. It appears that the glaze takes its name from the Marquis of Rockingham who had it developed on his estate. The glaze is brushed onto the pots and allowed to drip down the sides, making the finish look slightly streaky. Whereas the Elers brothers had designed for a high-end market, Alcock, Lindley, and Bloore created an affordable, mass-market object: the people's teapot. It was cheap to produce, efficiently made and functional. 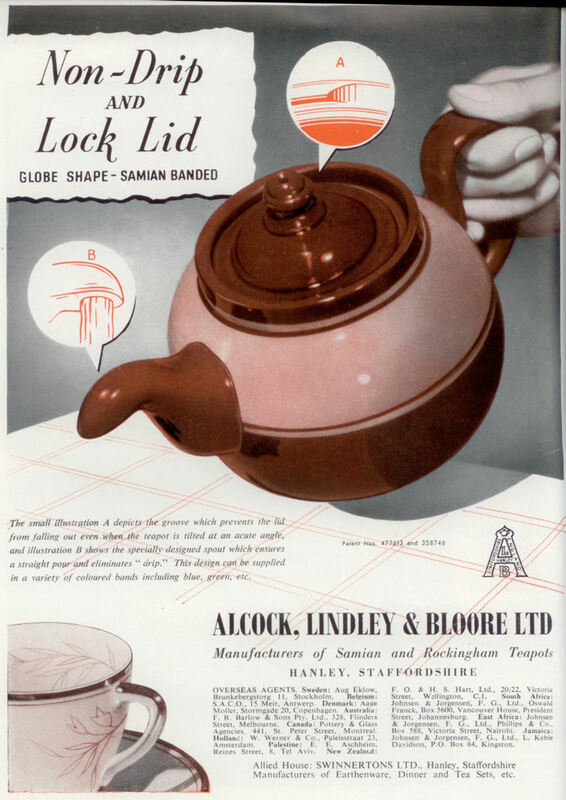 Alcock, Lindley, and Bloore also added a few design functions to the teapot, such as a non-drip spout and a lid that locked into place. They also had decorations on the teapots, such as stripes and polka-dots. As I mentioned earlier, the pots started off tall but over time they became rounded and globe-like to allow tea leaves to properly unfurl. The handle was also enlarged to keep knuckles nice and cool, away from the base filled with boiling water. I'm sure you can all figure out why the pot is referred to as 'brown', but, where does the 'Betty' come from? 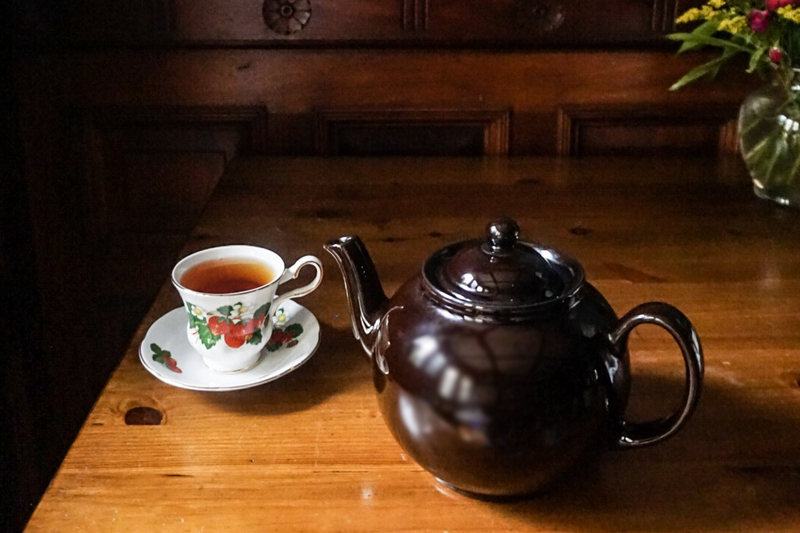 Just as it's difficult to pinpoint the origin of the teapot, it's difficult to know where the name came from. The popular belief is that Elizabeth was a common name in 17th and 18th century England, and it would often be the name of the servant pouring the tea. So somehow this transferred to the vessel being poured. But it's difficult to know for sure as there isn't any documentation to prove it. -Make sure it's made in England, as these pots are still made in the same area of Stoke-on-Trent. -Turn the pot over. Look for a ring of unglazed red clay on the bottom (see pic above). That'll help you be sure it's made of the right material. -Find the right maker. It appears there are two companies still manufacturing Brown Betty teapots with the original details and proper clay, Cauldon and Adderley. Both companies are still in Stoke-on-Trent. There are other British companies that manufacture these styles, but the clay may not be the exact match. -If you are looking for vintage pieces through online auctions, look for the aforementioned Alcock, Lindley & Bloore, and Sadler is also a common maker that pops up. If you find any other makers, definitely let me know so I can add them here. 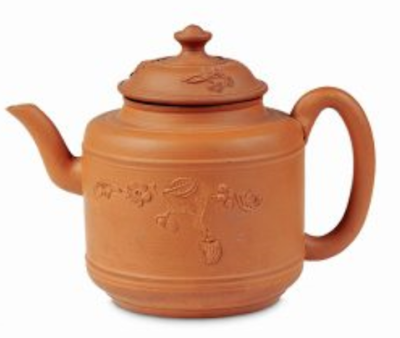 Do you have a Brown Betty teapot? Do you enjoy using it? I love the classic shape and utilitarian design. I'm going to try my best to keep ours on the kitchen counter and use it for weekend pots of tea. My husband and I both require many strong cups in the morning, and this teapot will be the perfect vessel to steep in. Interested in more teaware history? Be sure to check out my posts on the value of 18th century teaware, and the history of British tea bowls.